NYIAS: Assimilating the Appeal of the Big Apple's Automotive Exhibition. While three quarters of 2018 still remain on the calendar, we have arrived at North America’s final major stop on the auto show circuit. 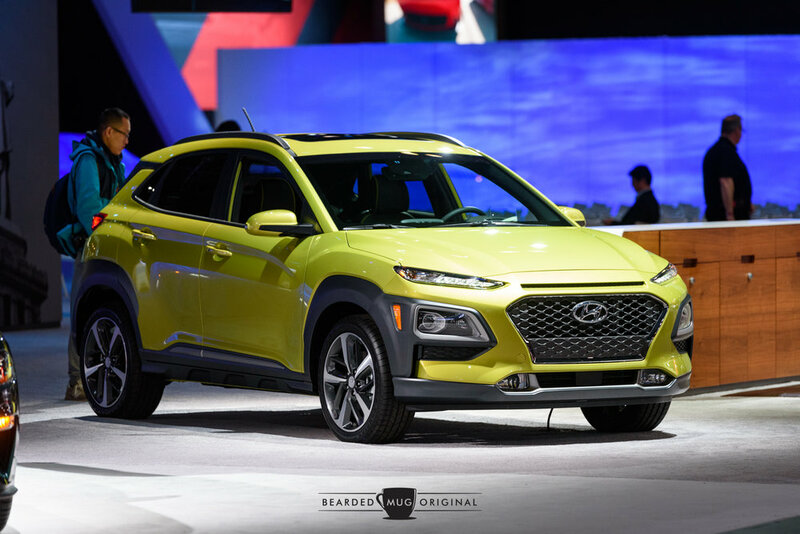 The New York International Auto Show (#NYIAS), held each year at the massive Javits Center in midtown Manhattan, packs nearly every manufacturer’s new car offerings inside, making it a daunting task to cover it all in the two allotted press days. That is why I opt for a one-day leisurely stroll to take it in on my own terms. The following are those terms. Hot Wheels is celebrating its 50th Anniversary in 2018. I’ve been attending the NYIAS since the mid-90s, ever since Buick sent me tickets after I called their 800 number to request a full line brochure. “Ah yes, my name is Bryan McCarthy and I am a doctor in need of a new car. But I don’t know which one so you might as well send me everything you’ve got on every car you make.” I thought I was a pretty slick 10-year-old, as it seemed every toll-free number I called was more than happy to send this successful Doogie Howser-wannabe information on their products. Stepping a bit further back in time, before I worked up the nerve to speak to someone, I was able to request brochures via select manufacturers’ AOL or Prodigy pages, the precursors to WWW domains. They were simpler times. 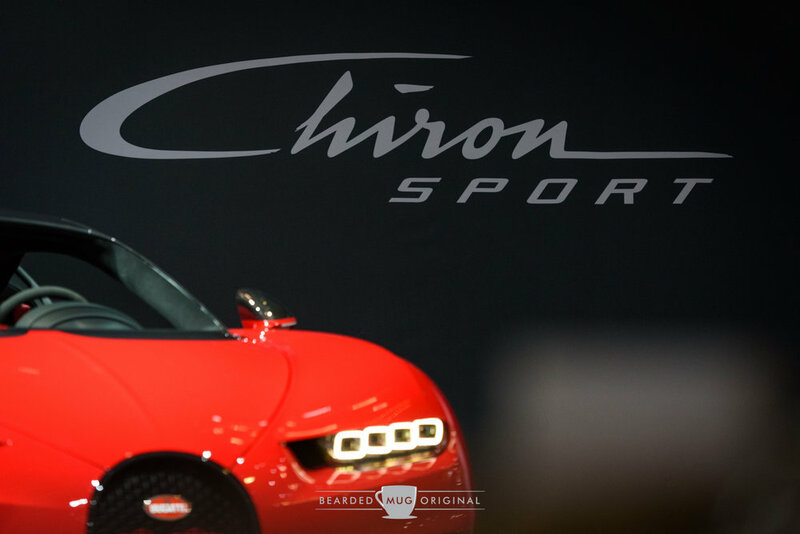 The Bugatti Chiron Sport will milk your bank account for more than 3.5 million dollars. Anyway, up until a few years ago, I’d been attending the show as a commoner, elbowing my way through the enormous crowd just to take half-decent pictures of 3/4 of a car and 1/4 of a better-dressed-than-me kid wearing a Ferrari hat sitting cross-legged on the hood of said car. To say it was a test of my patience is an understatement. On the contrary, I do miss carrying less camera equipment and being able to easily get in and out of cars. And the Toyota bag filled with assorted literature from each booth. And those Porsche posters. Also, remember when VW handed out GTI-shaped pen holders? Simpler times indeed. There was a small beacon of hope that I would be liberated from the corpulent mouth-breathers in 2006 when I was interning at Forbes Autos. A press pass with my name on it somehow landed in my possession! Like Charlie’s tour of the chocolate factory, this unfettered access to the countless cars complemented by the lack of crowds was eye opening. I never knew just how nice the floors were! It was short-lived, unfortunately, as my internship ended and another nine years would lapse before I could return to that lavish lifestyle. Small footnote to that story. My editor at the time was Matthew de Paula, whose name came before my eyes a few months ago while reading Road & Track. It was nice to see his byline attached to a story unrestricted by his former starched readership. Perhaps he will stumble upon this blog whilst Googling his name. Perhaps not. I mentioned above that press access is a two-day affair, with numerous unveilings, galas, and special events put on by nearly every manufacturer. I have yet to cash in on crossing the river for two consecutive days because the exhaustion of one day is enough for now. But I really feel for those journalists who are on deadline, tapping away at their keyboards long after I’ve been home and cracked myself a cold one. The only anxiety I experience following my NYIAS exposure is trying to edit and post pictures in a timely manner, all while balancing a newborn on my knee. The woes and wonder of being a one man show. And a new parent. One of these years I'll stop creeping from a distance and inject myself into these photo-ops. So, 615 words in and you’re curious about the substance of the show itself? Is the juice worth the squeeze; the key worth the turn? Yes and no. At a recent C&C, I had a few people ask me that exact question, and to be honest, these last few years have left me somewhat wanting. The lack of concept cars paired with less on-site wrapper removals has left a void in the excitement levels. When prodded for my favorite car there, or something that really stood out, I found my brain bouncing back and forth faster than KITT’s LED scanner. The 2019 Jetta was nice to see in person. And did you know that the new Altima will now be available with AWD? How about the bespectacled Dodge Ram, with its flush face and fancy LED lighting helping it to look like every other full-size pickup on the market. I could go on. And on. The all-new Nissan Altima that's going to set the segment on its head. Cars nowadays manage to be both boring and exciting all at the same time. In my opinion, current design language is nearing its boiling point. That is, with all the safety regulations, fuel mileage standards, and other behind-the-scene parameters set by folks who are most likely driven everywhere (when they aren’t flying in chartered planes), cars are going to reach a juncture where they all start to blend into one universally shared form. Most likely some sort of crossover. At that stage, it’s going to take a keen eye to see the details distinguishing a Honda Accord from a Hyundai Sonata. But will it even matter when the ride-sharing cars are driving themselves? * Please note, the constant evolution of technology, from turbochargers to automatic transmissions, to self-driving cars and in-car entertainment, is a topic great enough to fill many volumes of leather-bound books. If I was a member of the Swiffer Squad, I too would photobomb at every opportunity. However, this isn’t a new idea. The people who go on and on saying that they don’t design cars like they used to…how far back in history are they harking to? The 1989 Lexus LS400 looked like the 1989 Acura Legend if you squinted. The current Honda CR-V and the Hyundai Tuscon? Parent trap twins separated at birth. And the Ford Explorer sure did appear similar to the Mazda Navajo. Ok, that last one was obviously a stretch. But the point is, we complain that new cars all look the same like it’s some sort of radical about-face across the industry. For something that’s been around for over 130 years, designers and engineers are doing their best to make sure the shelf life of the vehicle never nears expiration. Hyundai is picking up where the Jeep Cherokee left off. And are they also taking cues from Audi's shield grille? Flip the coin over to the shinier side and there’s plenty to be pleased by. That aforementioned Altima is a sharp reboot, and the addition of AWD is sure to put Subaru and the Ford Fusion on notice. And while the removal of the V6, replacing it with a turbo four, is par for the course these days, it’s not detrimental to the overall package. From the German front, Audi’s A6, A7 and A8 have all been enhanced with taut new skin, and the Sportback now comes RS5 flavored. As a VW fanboi, it was a relief to see the new MK7 Jetta looks much better in person than in pictures, a familiar yet refreshing progression. But where was the I.D. Buzz concept? BMW had nearly a full quiver of M cars, topped off with an M1 Procar overlooking the show floor from the BMW owner’s loft. An M6 Gran Coupe was slathered in beautiful green paint, while an adjacent M5 wore matte red, which really didn’t help accentuate its lines, or its 6-figure price of admission. Analog over digital, quite literally. You should view cars of today less as the sum of their parts and apply more focus on individual details. Like the crisscrossing body lines on the next-gen Acura RDX. Or the way the fenders of the new Lexus UX appear to be windswept backwards, presumably from being so fast. It’s refreshing to slow the roll of the rapid paced atmosphere to absorb small particulars. You’ll appreciate the modern automobile more that way. Because let’s not kid ourselves, there are some appealing style interpretations that deserve applauding. Since it’s subjective, I’ll let you choose the recipients of your praises. Before you start to wonder, I did venture downstairs to where they keep the trucks, albeit briefly. For 2019, if you’ve seen one, you’ve seen them all. A massive front grille flanked by small headlights with LED daytime running lights (DRLs) in elementary shapes seems to be the M.O. of every modern-day truck designer. The only difference between them is what letters are stamped in the faux-chrome up front. I feel as if I’ve gone off track a bit. As a whole, the NYIAS is satisfying for me. I took a different approach this year as to how I wanted to cover it. I shot less pictures and chatted with pals more, a plan that resulted in less digital regret, e.g. under 1,000 images total. And look at this, a blog post for your enjoyment while the event is still live! Surely that’s a new P.R. Name that crossover! The hint is in the concave body line. So as you go through all my pictures from the event (HERE), instead of feeling sad about the state of automotive design, challenge yourself to see the quaint differences in today’s new cars. You just may come to realize that while cars may not stand apart as they once did in the 1950s, each one has something to help it stand out. Unless you’re Robert Cumberford.